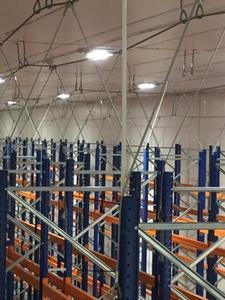 Check out the innovative method to help protect racking from collapse developed by Racking Collapse Prevention. You can meet the team at The Health & Safety Event from April 9-11 at the NEC in Birmingham. 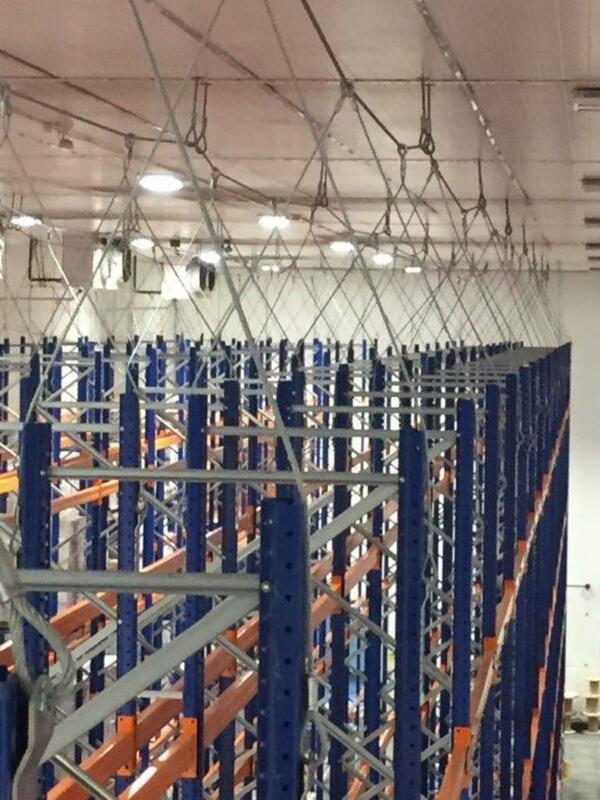 Racking Collapse Prevention (RCP) strives to help construct the safest work environment for professionals that work in warehouses, stores, or anywhere else racks are used, with its suspension based system that helps to hold racking in place in the event of an incident. Racks are massive structures that were built to store as many products as possible and bear immense amounts of weight. Pallet racking combines this concept with multiple rows, which sometimes becomes very unsafe and dangerous. Without any additional safety measurement, a damaged rack can lead to injuries, or even fatalities. Racking collapse can also cost hundreds of thousands of pounds in damage. 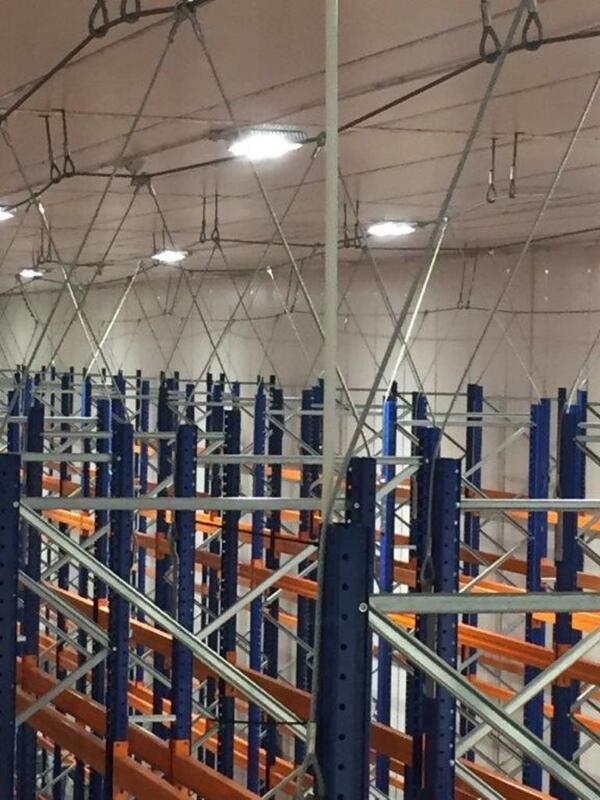 The company says: “We provide a highly durable safety support system that helps prevent racking from collapsing. “We have thoroughly researched this area of work safety and we want to help put an end to the dangers that might occur in the many businesses that make use of such racks. Oakland International took the decision to install the unique safety system provided by RCP in September 2016. Oakland says: “We had on many occasions at board meetings discussed the risk associated with racking collapse and had moved this to one of our highest levels of risk concern. 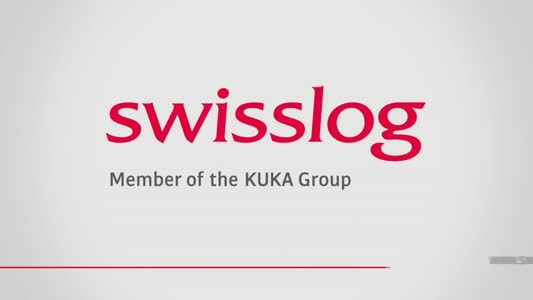 “We were looking for a solution which would give us the confidence that we were providing the safest possible working environment for our team members whilst also protecting the business from the potential risks associated with a full-scale racking collapse. Following the installation of the RCP rack collapse prevention system, we did have an incident in which the upright racking supports were hit by a forklift – the suspension system installed kicked in to play and we believe prevented what could have been a serious risk of a collapse of one or more rows of racking. “We are absolutely convinced by the effectiveness of the new rack protection system and have committed to install the system in our Corby and Ireland warehouses”.